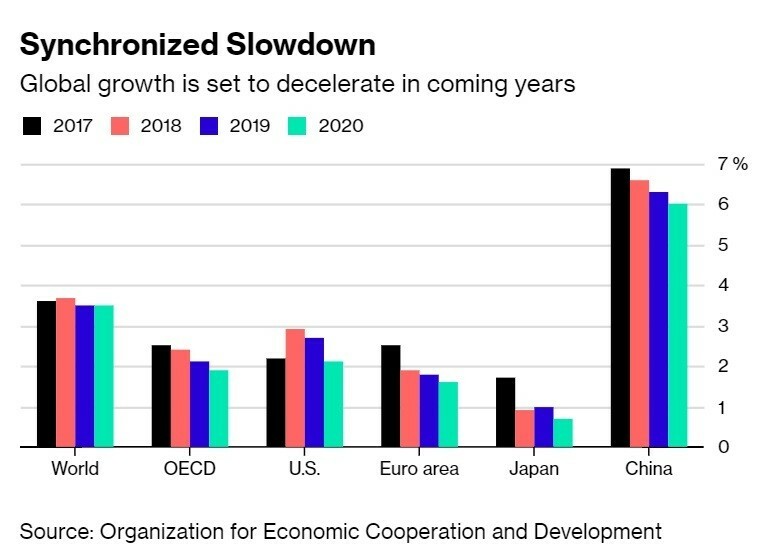 2019 will be a mixed bag for the economy. A related factor is trade. While an escalation of the Sino-American conflictwould hamper global growth, a continuation of the current truce via a deal on trade would reassure markets, even as the two countries’ geopolitical and technology rivalry continues to build over time. Fifth, America’s dysfunctional domestic politics could add to uncertainties globally. The recent government shutdownsuggests that every upcoming negotiation over the budget and the debt ceiling will turn into a partisan war of attrition. An expected report from the special counsel, Robert Mueller, may or may not lead to impeachment proceedings against Trump. And by the end of the year, the fiscal stimulus from the Republican tax cuts will become a fiscal drag, possibly weakening growth.